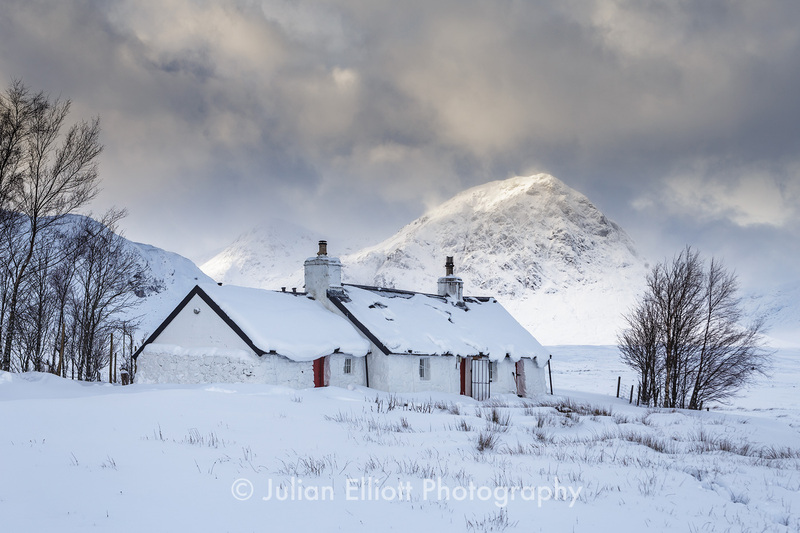 Join me for a fabulous tour of Glencoe in Scotland during the Winter of 2020. The tour is centred in the very heart of Glencoe where our base is in the village of Ballachulish. We will use our base to photograph the stunning mountain scenery of Glencoe as well as the surrounding Scottish Highlands landscape and lochs. During the month of January, the area around Glencoe will be transformed into a winter wonderland. 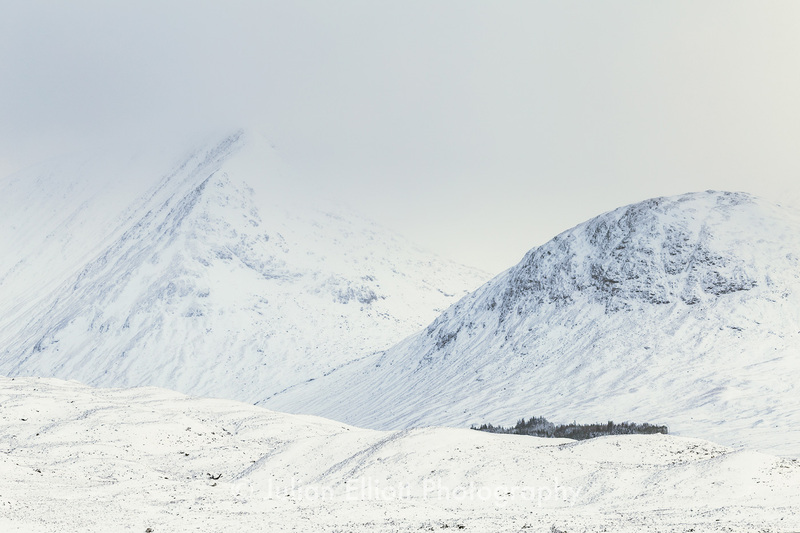 Snow will be on the high peaks and with any luck will be on the ground around Rannoch Moor. Our stay is based in the village of Ballachulish on the banks of Loch Leven. Double rooms are provided with breakfast and a 3 course dinner. Highlights of the tour, other than the endless mountainous scenery, will be Rannoch Moor, Buchaille Etive Mor, Lochan na h-Achlaise and the Black Mount as well as other places such as Castle Stalker and possibly up to the Fort William area. We will all meet at the Ballachulish Hotel at 10:00 on the 13th January 2020. Is it cold in Glencoe in January? 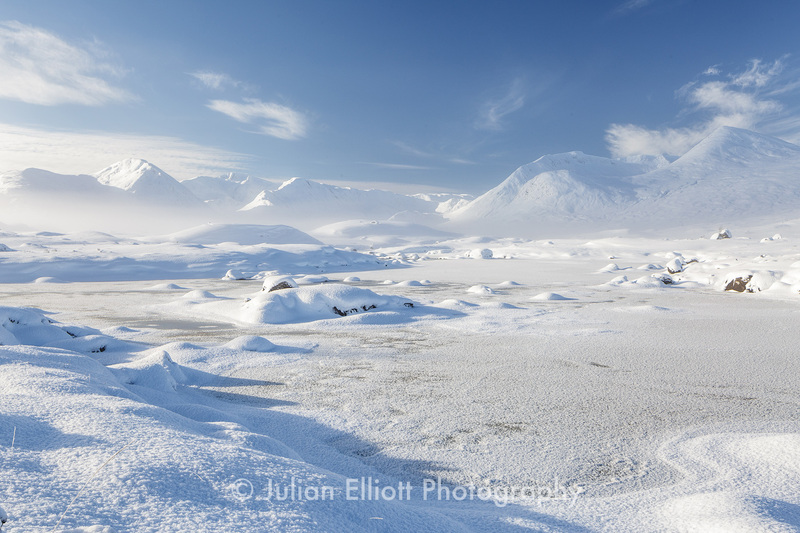 In January temperatures can reach well below freezing and especially so on Rannoch Moor. You'll need to ensure that you have clothing that will keep you warm from the inevitable cold and wind chill that we will be experiencing during our days out. Make sure you bring good quality footwear as well as warm socks. Wind chill is likely to be a factor as if we are standing around waiting for the most opportune light then you'll need to make sure you have the appropriate clothing such as a down jacket to deal with this. Don't forget the all important base and mid layers too. A good pair of trousers to ensure that your legs are kept warm. I usually put my Paramo Cascada trousers on to help against the cold. Lastly, make sure a good quality hat and gloves are part of your wardrobe. Good, sturdy walking shoes that are waterproof are perfect for the terrain that we'll be working in. Places such as Rannoch Moor can be wet underfoot and so making sure your feet are protected is one of your first priorities. Although not essential, it's a great idea to bring a laptop computer with you so you can discuss imagery with myself. I try and make a point of helping those that need it in digital photography. If inclement weather or tiredness takes hold it can really help to have a computer session to assess our progress. Do you arrange for any transportation up to Glencoe? I can arrange to pick you up from Glasgow on Sunday 12th January 2020. Glasgow has good transport links with both its airport and Glasgow Central railway station. Your accommodation on the Sunday night will be at your own expense though. Please ensure you read the Terms & Conditions before booking the workshop.